The main purpose of the study was to determine the usefulness of using Active Worlds in teaching the English grammar. 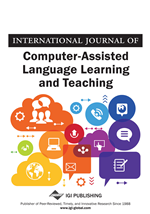 Specifically, the study examined the immediate and delayed effectiveness of using the chat feature of the Active Worlds' virtual environment for teaching the English present simple tense. In addition, the study explored the attitudes of students receiving this intervention as compared to a traditional approach. The sample consisted of 22 Polish senior high school students. The learners in the experimental group were subjected to innovative instruction and the students in the control group were taught in a traditional way. The data were obtained by means of a background questionnaire, a grammar test and a post-questionnaire. The results show that both groups benefited from the instruction they received; however, the experimental learners' long-term retention turned out to be much superior when compared with their control counterparts. What is more, the experimental students expressed more positive opinions of the lessons. A virtual world can be defined as “a new computer medium that allows many users to simultaneously access the same computer generated space as virtual placeholders called avatars” (Kim, Lee, & Thomas, 2012, p. 3). Virtual worlds can also be understood as “immersive and social environments where learners can visit relevant locations online and meet with others for real-time (voice or text) conversations (Vickers, 2010, p. 75). Virtual worlds can be used as a learning environment in an online course (Petrakou, 2010), since they provide a unique environment for language teachers and learners who are separated by distance to engage in social activities (Bronack, Riedl, & Tashner, 2006). They can be utilized in interactions between text chat and audio modalities for L2 communication and feedback (Wigham & Chanier, 2013). Virtual worlds can also increase students’ confidence and help to overcome cultural barriers in studying the target language (Zheng, Young, Brewer, & Wagner, 2009). When compared with computer-mediated communication (CMC) interaction, the combination of text chat with personal avatars offers students access to multiple communication channels. For example, avatars can exhibit a choice of non-verbal communication cues that are difficult to reproduce in other sorts of synchronous CMC (cf. Peterson, 2008). Virtual worlds also offer a simulation of space (i.e. the ability to project a simulation of 3D space or spatial aspect) (cf. Hew & Cheung, 2010) and experiential space in which students learn by doing and observe the outcomes of their actions (Chee, 2007). Despite such benefits, empirical research on the use of virtual worlds in foreign language learning and teaching is still in its infancy, particularly when it comes to utilizing such worlds in teaching grammar. The present paper aimed at partly rectifying this problem by conducting a quasi-experimental study which investigated the usefulness of employing the virtual world Active Worlds and its chatting utility in English as a foreign language classes to practice the present simple tense. It was the belief of the researcher that the use of Active Worlds could be more beneficial for practicing grammar than traditional classroom setting because students could use it for communication, thus making the learning of it more motivating and meaningful for them.